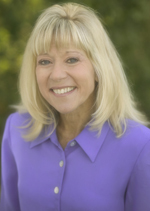 Nancy Wilson is a dynamic speaker and author who combines a zest for life and people. Nancy has over 30 years of ministry experience. As a result, she clearly communicates with conviction and compassion to this generation. For 25 years, Nancy served as Associate National Director of Cru High School (formerly Student Venture), the high school and junior high outreach of Cru (formerly Campus Crusade for Christ International). Nancy travels extensively and is a frequent speaker to audiences of all ages in the U.S. and internationally as a global ambassador for Cru. She has spoken to thousands of young people and challenges them to passionately pursue a relationship with God and become an ambassador for Jesus Christ. Nancy resides in Florida and her family lives in St. Louis, Missouri. She has four brothers and one sister and is a proud aunt of 15 precious nieces and nephews. 2. "Right Click" on date then select "Save Target As" (or similar i.e. : 'save link as') and a copy of the show will download to your device that you can play repeatedly anytime. December 2018 Show THE GLORIOUS STORY OF CHRISTMAS CAN CHANGE YOUR LIFE. Featuring: Nancy and THE STAR of the story and cast! May 2017 Show "In the Spirit of the Moravians...The fields are ripe for harvest!" Over the past 40 years, David Bryant has been defined by many as a “messenger of hope” and a “Christproclaimer” to the Church throughout the world. Formerly a pastor, minister-at-large with the InterVarsity Christian Fellowship, president of Concerts of Prayer International (COPI) and chairman of America’s National Prayer Committee, today David provides leadership to PROCLAIM HOPE! whose mission is to “foster and serve a nationwide Christ-awakening movement” www.ProclaimHope.com. 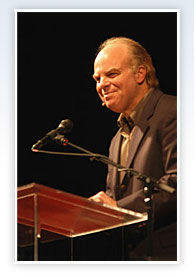 For decades David played a widely visible role in the emergence of an unprecedented, worldwide prayer movement by capitalizing on city-wide mass prayer rallies; national and international conferences; training videos, seminars and manuals; development of leadership coalitions; the mentoring of younger leaders; and media outreach (both TV and radio). Among his writings are five key books: In the Gap: What It Means To Be a World Christian; With Concerts of Prayer: Christians United for Spiritual Awakening and World Evangelization; The Hope at Hand: National and World Revival for the 21st Century; and Messengers of Hope: Becoming Agents of Revival for the 21st Century; and Christ Is ALL! A Joyful Manifesto on the Supremacy of God’s Son. Since 2010 David has conducted an ambitious outreach to encourage Christ Awakening movements, nationwide and beyond, called The Christ Institutes (TCI). The goal is: “Exploring and Experiencing the Spectacular Supremacy of God’s Son“. A follow-up companion to the TCI course is David’s Christ Is ALL! (with over 500,000 Mandarin versions alone being used to train Chinese church leaders). TCI has been professionally filmed and now is presented as The Christ Institutes Video Training Series (involving over 3000 graphics throughout the nine sessions.) In conjunction with the TCI project, David and his team currently are spearheading a first-ever website, www.ChristNow.com This web outreach provides a central hub for ever-expanding free resources, including teaching videos on the vastness of Christ, Christ-exalting worship music, video testimonies about personal awakenings to Christ, blogs on our Lord's reigning majesty and more. PLUS, a free one-of-a-kind, eight-week daily email video series to help Christians spend a few minutes a day focused on the spectacularly supreme Son of God. CHRISTNow.com is serving a growing nationwide Christ Awakening movement. COLLEGIATE DAY OF PRAYER ... POWER FOR REVIVAL! from the Collegiate Day of Prayer National Leadership Team. And Nancy talks about her time with dolphins. More of the greatest stories of all-time. 'I HAVE SEEN THE LORD'. the President of Campus Renewal Ministries. He also serves on the Executive Committee of America’s National Prayer Committee, as well as Intercessor’s for America. Epafura Mwami Thembo is a Leadership Consultant, Musician and Songwriter, ICT | Electrical Systems’ Management and Technical Education Practitioner, Keynote Speaker and Author, whose mission is Reconciling Societies through Strategic Positioning, Peace Making and Love. “WHAT EVER GOOD YOUR HANDS FIND TO DO, THEN DO IT”, with this in mind, professionally and on a personal basis, he is often involved in the following: Centralized & Computerized Network Monitoring Systems (ICT), Sales & Marketing, Event Planning &Management, Budget Formulation & Implementation, Non-Profit Management, SME Management, Farming, Training, Strategy & Negotiation, Research, Public Speaking, Community & Institutional Transformation Campaigns, Music & Story Telling Performance, Family &Home Management. Like many other Ugandan and African children, he also has a very painful and good life time story to tell, “Simply from Mt Rwenzori Hills to Reconciling Nations”. He has nurtured a great zeal for the love of People (all ages), God and Nation bringing him favors and blessings including friends, a good wife, three (3) children and a pastoral ministry. He frequently travels to train and share his strengths (giving his life) in Universities|Colleges|Schools, Local Communities and Workplaces within Uganda and beyond. He has worked with big brands in Uganda like Century Bottling Company (Coca-Cola), Uganda Broad Casting Corporation (UBC) TV and Uganda Telecommunication Ltd (UTL) among others, at the same time raising a powerful foundation in the making (LOVE AGAIN), whose vision is to SEE A GENERATION WHERE THE MIGHT AND WEAK WILL LIVE AND WORK TOGETHER. While at University in 2003 on a mission trip to Tororo (Eastern Uganda) he was nicknamed Epa and soon became a student leader at campus changing his naming to Papa Epa. He has built this nick name into a great Brand for the Music and Songwriting career (something he loved doing from primary (2) two and finally took off at University, and finishing his First Album; NEW DAY recording in 2014). His music and songwriting talents are now taking the world by surprise while considering a unique passion for WRITING, RECORDING and PERFORMING SONGS THAT WILL FACILITATE TRANSFORMATION IN THE CIVIC, BUSINESS, FAMILY SPHERES OF OUR SOCIETIES AND THE LIKE. In 1951 she co-founded Campus Crusade for Christ with her late husband Dr. Bill Bright. The Brights spent more than half a century building and leading Campus Crusade for Christ to its current size of more than 27,000 staff members and 225,000 volunteers serving in 190 countries. Vonette has authored 15 books, and currently hosts the “Women Today” radio program. While serving 9 years as chairwoman of the National Day of Prayer Task Force, Vonette introduced legislation unanimously approved to make the first Thursday of May the annual National Day of Prayer. Another Great Story to Rock your world. Below is the link to my narrated 7 minute personal and ministry testimony video that Campus Crusade for Christ has put together.